IRT Group will begin Stage One of the $40 million IRT Woodlands retirement community. 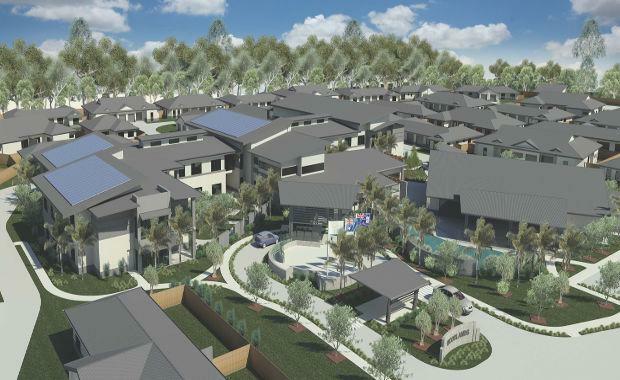 The construction tender has been awarded to RGD Group who will begin work on the community located at Kawana Forest. On completion IRT Woodlands will consist of a 60 suite care centre and 107 lifestyle villas. Stage One of construction will begin immediately with $20 million to be spent on the site’s infrastructure, care centre, 20 lifestyle villas, a community hall and swimming pool. It will IRT Group’s first care centre in Queensland having already established them in New South Wales. said she was happy to be keeping jobs in Queensland. “Over the two-year expected construction period we anticipate RGD to employ between 150 - 200 local contractors and sub-contractors at any given time,” said Ms Murray. IRT Woodlands is a part of IRT’s capital works program across the east of Australia and worth $170 million. The development from IRT comes on the back of the increasing need for aged care in the region. An increasingly ageing population in Australia is creating a demand for developments such as this. “Over the next 20 years an extra 56 100 retirees are expected to live on the Sunshine Coast," Ms Murray said. Since 2012 IRT has acquired three lifestyle communities in South East Queensland along with the site that will be used for Woodlands.